There’s something special about owning a clear umbrella; in a cinematic sense, isn’t it fun to look at the rain droplets while you’re safe and dry beneath the canopy? On the subject of aesthetics, umbrellas that are clear tend to have a more sophisticated and fun look. 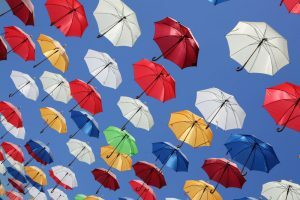 At The London Umbrella Seller, we really understand what makes a reliable umbrella as we’ve been researching, designing and testing them for many years. We’ve collated our top five picks for an umbrella that’s clear, saving you hours of research! 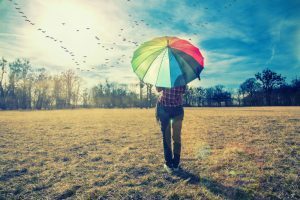 In this guide we look at a number of different designs and how you can incorporate these umbrellas in your daily life or even special occasions. We’ll let you know the pros and cons of each umbrella. Based on the product title, you might be thinking that only children can use this umbrella, but that’s far from the truth. In fact, the default size of this umbrella can also fit an adult. What is so unique about this umbrella is its shape, as it is not flared out; instead, it is a dome that extends downward as if it can enclose the person carrying it. It really does give superb coverage for both head and shoulders. This product comes in four styles namely clear blue, transparent, clear dotted, and clear pink. 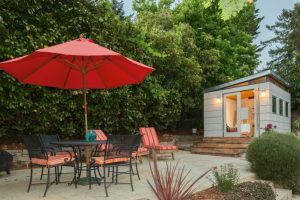 The canopy is made of both windproof and rainproof materials. It has a steel shaft for core-strength and a handle that is curved so that both children and adults can grip it easily. 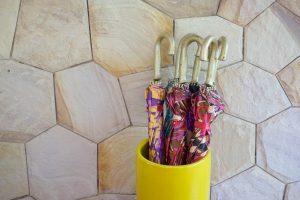 Turning to the dome itself, the tips of the umbrella are rounded and the canopy material is pinch proof so nothing will snag or get snagged with the umbrella. Once the canopy is open, it has a size of 38 inches and once closed, it becomes 25 inches. Comes in stick form only, so won’t fit in a small bag. Next up is another clear umbrella from the same prestigious brand of Totes. This time, we have an umbrella very much created for adults. 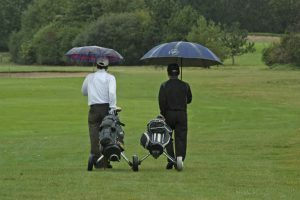 It also has that dome shape so is adept at protecting the majority of your upper body against rain. 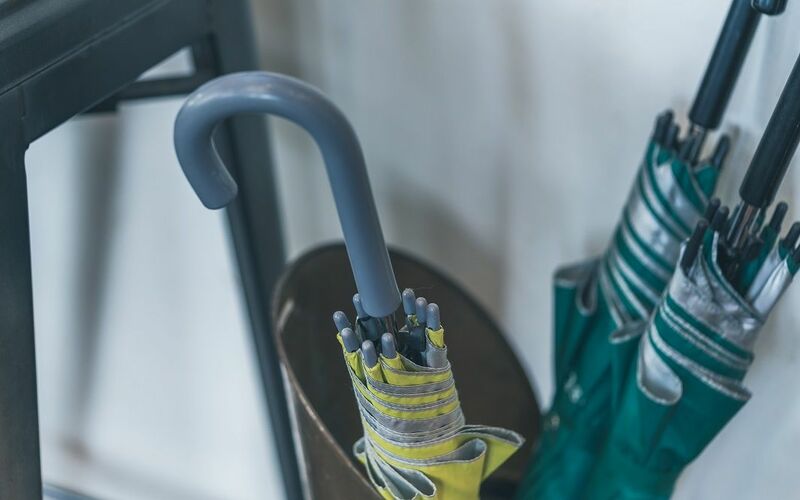 Starting with the shaft and handle, the shaft of this umbrella is made from metal to give superior core strength, while the curved handle is constructed from acrylic materials and has a matte silver finish. At the same time, the lining is synthetic and is free from PVC. 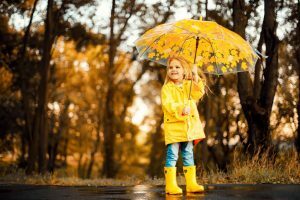 Just like the previous umbrella, it is rainproof and also windproof, however a great selling point is the 47 inches dome coverage. Additionally, it comes in a number of designs including birds on a wire, plain, and dotted. 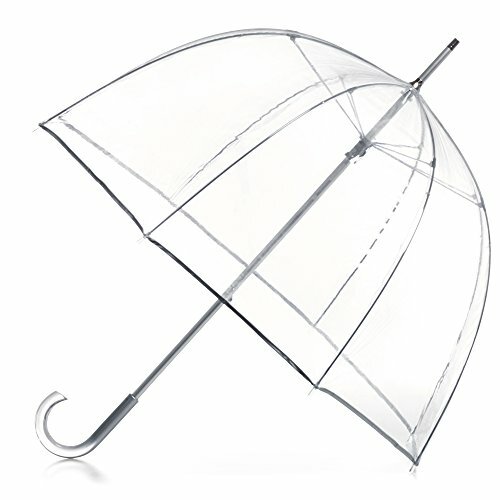 Moving on to the more sophisticated designs we mentioned earlier, this umbrella really excels. 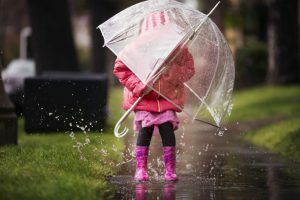 One might be put off as this umbrella is designed to be used by women and children, but do not get offended just yet because it has something to do with the available designs. This umbrella comes in three designs. The first one is called the dog since it has two cute dogs on both sides which are printed in black. The second one is called cat wherein a black cat’s face is imprinted on both sides. 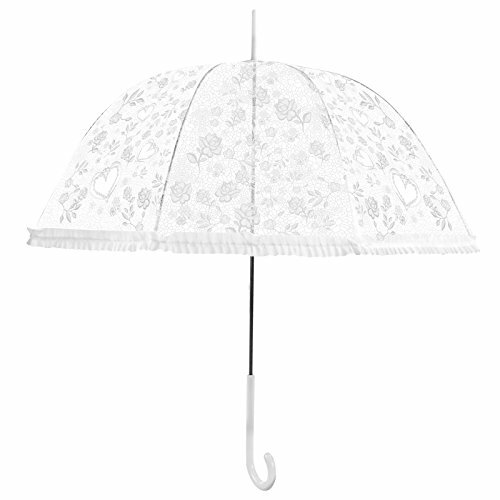 The last design is called flowers lace wherein the black flowers are printed around the rim of the umbrella. These designs really do have personality and are a real talking point. 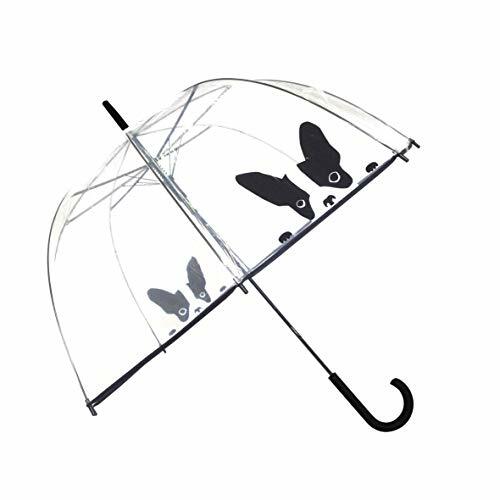 The canopy on this umbrella is a dome shape, perfect to protect the head and shoulders. It’s also windproof and rainproof. As for its frame and ribs, it is made of fiberglass, this gives a super-strong structure. The handle on this brolly is made of rubber, giving a superior grip when wet. This umbrella is perfect for anyone who has ever wanted to be a princess. It has such a stunningly elegant design that combines lace, flowers and hearts. Just like the other umbrellas in this guide, the canopy has a dome shape, brilliant to protect not just the head, but the shoulders as well. 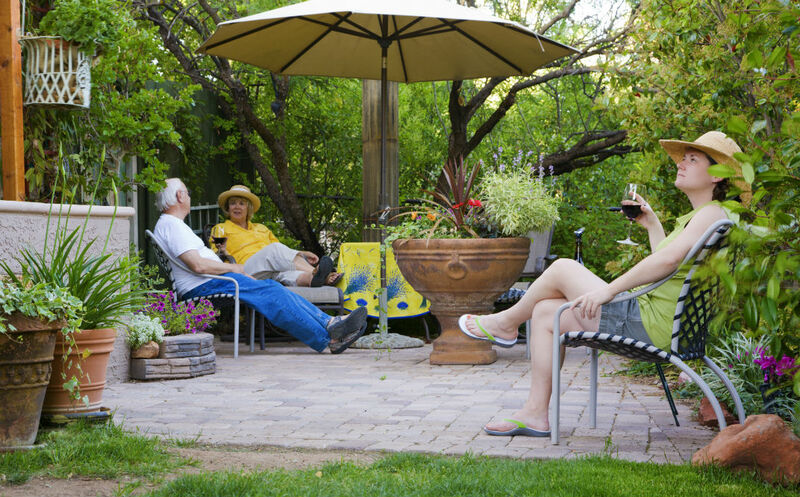 The Becko Canopy Bubble Umbrella comes in a choice of two canopy colors, namely black and white. The rod of the white one is black, while the handle is white. On the contrary, the black umbrella comes with a black rod while the handle’s top is black and its middle and bottom parts are white. The canopy is made of high-quality POE material while the curved handle is constructed using plastic. The central shaft is metallic for added strength and importantly, the ribs within the frame are made of fiberglass for superior strength. The frame has a diameter of around 33 inches when open. The design is not particularly unisex. 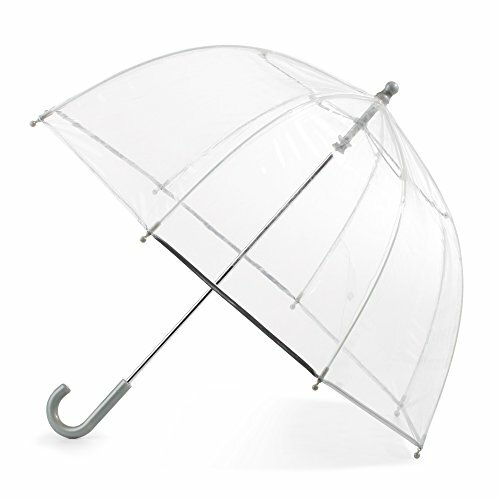 Lastly, we feature an umbrella where simplicity is its strength. It has the usual dome shape with clear canopy. It has a more than adequate dome diameter of around 34 inches so can cover the head and shoulders really effectively. One great thing about this umbrella is that the trim is colorless, this means you can see around the entire canopy with no obstructions. What is equally as appealing is that the fabric used for its canopy is super-clear, allowing you to see through it really easily. 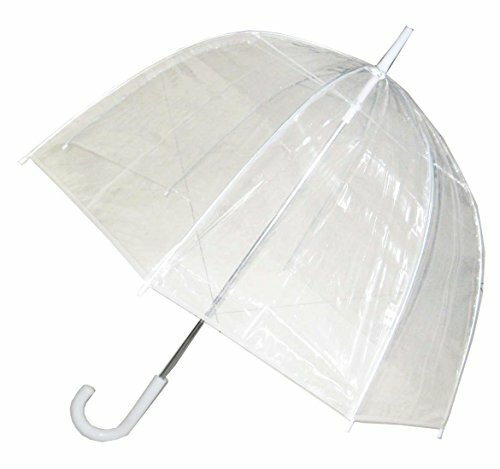 Thus, if you are really serious about having an umbrella that is clear, give this one a look as it is the most transparent one in this guide. The bottom of the canopy measures 34 inches in diameter from one side to the other, a really good size for 1 or even 2 people if you like to be cozy! 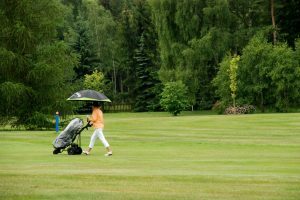 All of the umbrellas in this guide are winners in their own right to be included, however if had to choose one, we highly recommend the SMATI Stick Umbrella Dome. We would choose this one because it’s the most versatile and is super-stylish. Some of the umbrellas above can be overly decorated, while others are quite simplistic; this one is the perfect middle ground.